Fiserv has acquired payments software vendor Dovetail as it pushes deeper into the payments infrastructure sector. Financial terms were not disclosed. Through the acquisition, Fiserv says it will combine Dovetail’s real-time payments platform, services and business processing with its payment capabilities. Dovetail had been one of the very few independent fintech beacons in the industry, having not fallen into the hands of a large tech conglomerate. Until now. The company pioneered the concept of a “payment services hub” – before analysts coined the term. 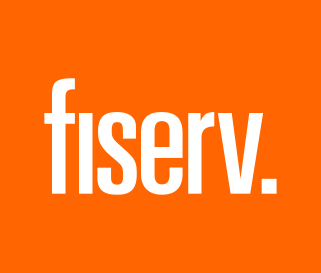 Fiserv says the deal in the US gives it the foundation for advancing its PEP+ ACH processing solution and a real-time payments offering with integration into the NOWSM Network for payments and transfers, the Turnkey Service for Zelle and The Clearing House’s real-time payments scheme. In Europe, Fiserv is looking to the new organisation to tap into financial institutions with legacy system replacement and the shift to real-time through, for example, SCT Inst and the UK’s Faster Payments. Elsewhere, Fiserv is looking at real-time again, such as Swift’s global payments innovation (gpi) initiative. The new platform, and related group of integrated solutions and services, will be available on premise, and will also be deployed as a cloud-based service. Earlier this month, Fiserv acquired PCLender, a US-based provider of “simple, elegant, internet-based mortgage solutions for community banks, credit unions and mortgage bankers”. Fiserv’s interest in payments has been well documented. In June, Fiserv offered to buy Monitise, a UK-based mobile payments software and solutions provider. The initial cash offer at 2.90 pence per share – valuing Monitise at approximately £70 million – was rejected by Monitise’s shareholders. Fiserv then upped its bid to 3.10 pence per share, valuing the digital paytech vendor at £75 million. The transaction is still subject to certain conditions, including Monitise shareholder approval, and is anticipated to close in Q3 this year. While in April, the power of payments kept on driving revenue growth upwards for Fiserv – with some healthy Q1 2017 results. GAAP revenue for the company increased 5% in the first quarter to $1.39 billion, driven by 6% growth in its payments segment and 4% growth in its financial segment, compared to the first quarter of 2016. As reported in its fourth quarter and full year 2016 results, payments was also the power behind that revenue rise.